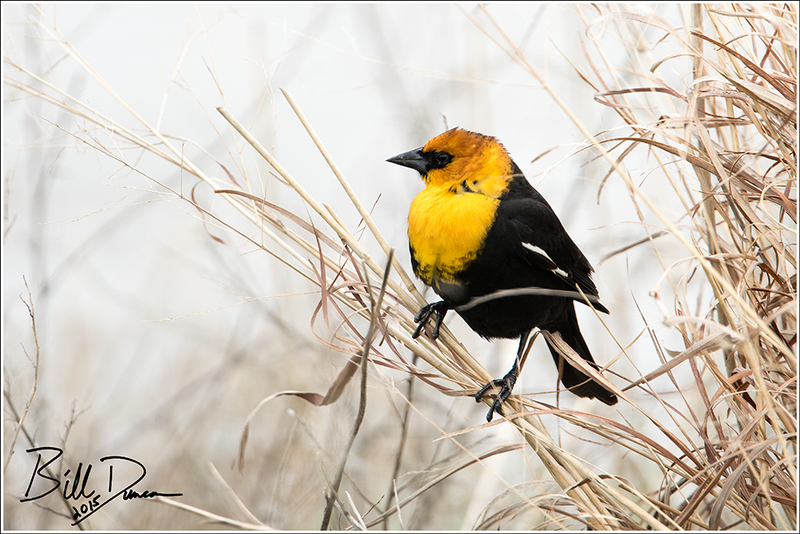 Found rarely in Missouri, the Yellow-headed Blackbird was a real treat for Steve and me to find in Kansas. 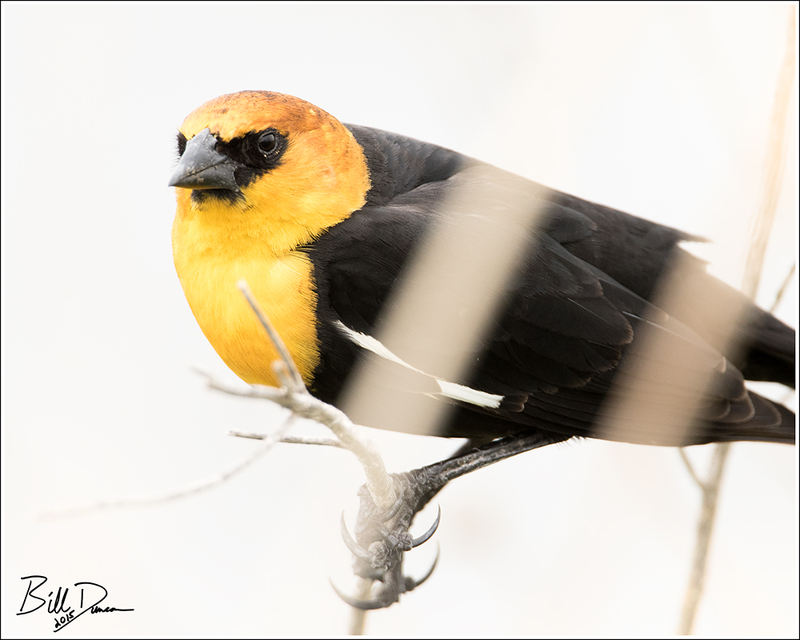 I had seen one or two during our trip out west last September, but not in the numbers we were to experience this spring at Quivira. 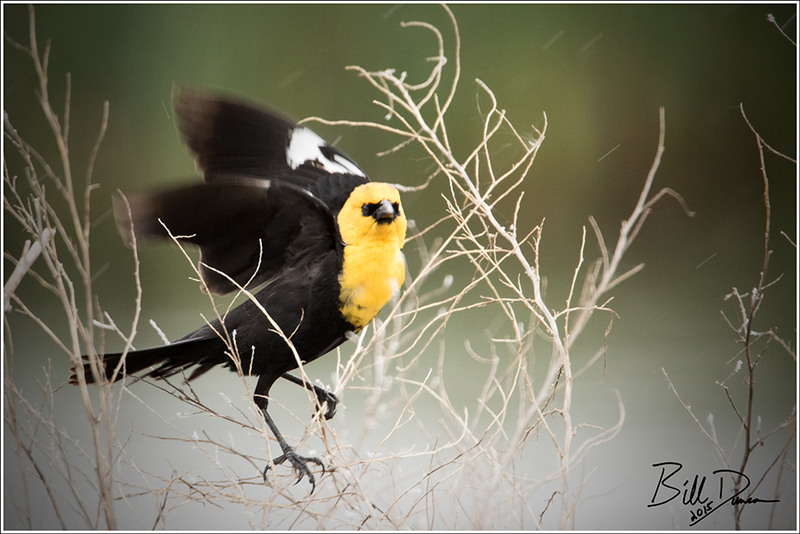 Their habitat preferences, habits and behaviors seemed to me to be quite similar to the more familiar to the easterner – Red-winged Blackbird. Most will not agree, but I found the song of this species to be preferable to the Red-winged. We found a couple flocks that were surprisingly large. 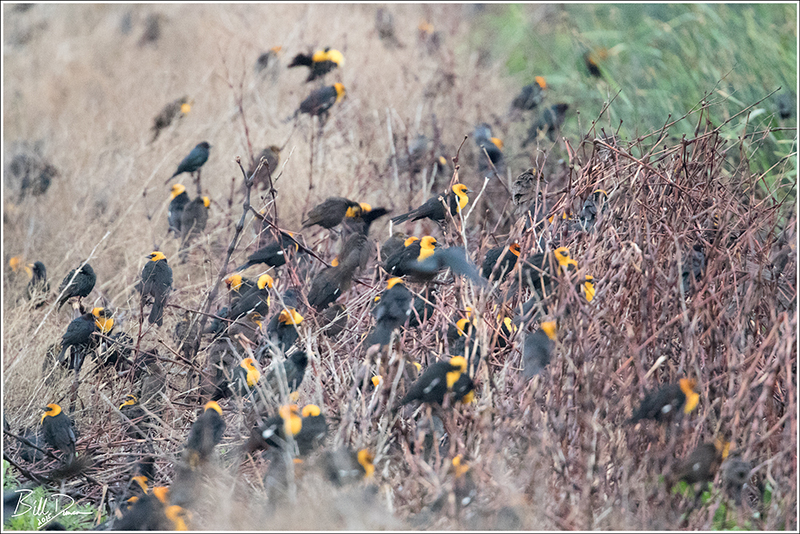 Containing a goodly number of Brown-headed Cowbirds, we watched these flocks roll across the wetlands as the clouds rolled with the winds across the big skies of Kansas.